Move Buddies’ approval to use electronic bills of lading means moving cross-country is now more convenient for customers. Move Buddies is the best solution to any moving problems in Georgia & South Carolina. A South Carolina moving company "Move Buddies" has recently gained the distinction of being the first moving company in the state to receive approval to use electronic bills of lading. Electronic bills of lading will speed up the process of shipping possessions long distance and make sign-off much easier at the final destination for their customers. Traditionally, bills of lading act as receipts for goods loaded on ships, give an outline of what the goods are and who they belong to. They also ensure that owners receive their goods on arrival. Paper bills, however, have many disadvantages. They are time consuming and costly to produce, lengthy paperwork can cause delays of the goods being released at their destination and the resulting high port storage fees for owners are a frustration. The approval for Move Buddies to use electronic bills of lading means customers won't experience unnecessary waiting, there will be enhanced security via encrypted signatures, and less admin fees involved in producing the necessary document. In the age of texts and emails, and the fact that electronic communications are widely used within the shipping industry, approving Move Buddies to use electronic bills of lading certainly makes good sense. Move Buddies say they are proud to be leading the way to make the moving process easier for their customers. Move Buddies is a locally owned and operated moving company based in Summerville & Charleston, South Carolina and Savannah, Georgia. 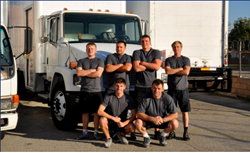 Move Buddies provides a hassle free moving experience with a range of trucks, for both small and large moves. For a friendly moving company recognised for outstanding customer service, hire Move Buddies for all your local and long distance moving needs. Visit the company website to learn more about Move Buddies’ moving solution services: https://www.movebuddies.com/.